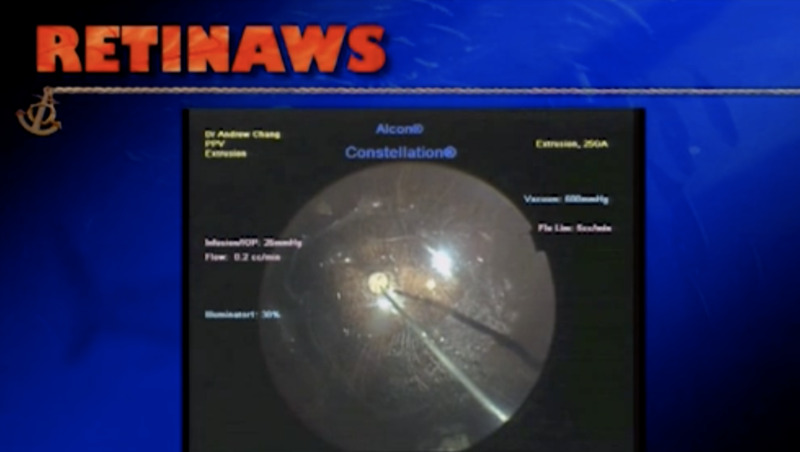 This is a case of a dislocated IOL-capsular bag complex. The IOL is removed through a scleral tunnel incision and a CZ70BD (Alcon) polymethyl methacrylate IOL is fixated to the sclera using 4-0 Prolene (Ethicon) and a 27-gauge docking needle. The IOL is fixated by melting the Prolene to create a flange on each end of the haptic. Amazing technique. Looks so graceful. Thank you for sharing. PS: loved the music too!